Tender for the Shenzhen Science and Technology Museum Schematic Design and Architectural Design Development is now open for pre-qualification application. Design teams from home and abroad are welcomed to participate in this competition. Shenzhen Science and Technology Museum is listed as one of the “New Top Ten Cultural Facilities” in Shenzhen. It will be transformed into a world-class public welfare science center, representing the city's image and stand for Shenzhen's urban grade, highlighting Shenzhen's technology and innovative development. The project site is in Guangming CBD, Shenzhen, China. 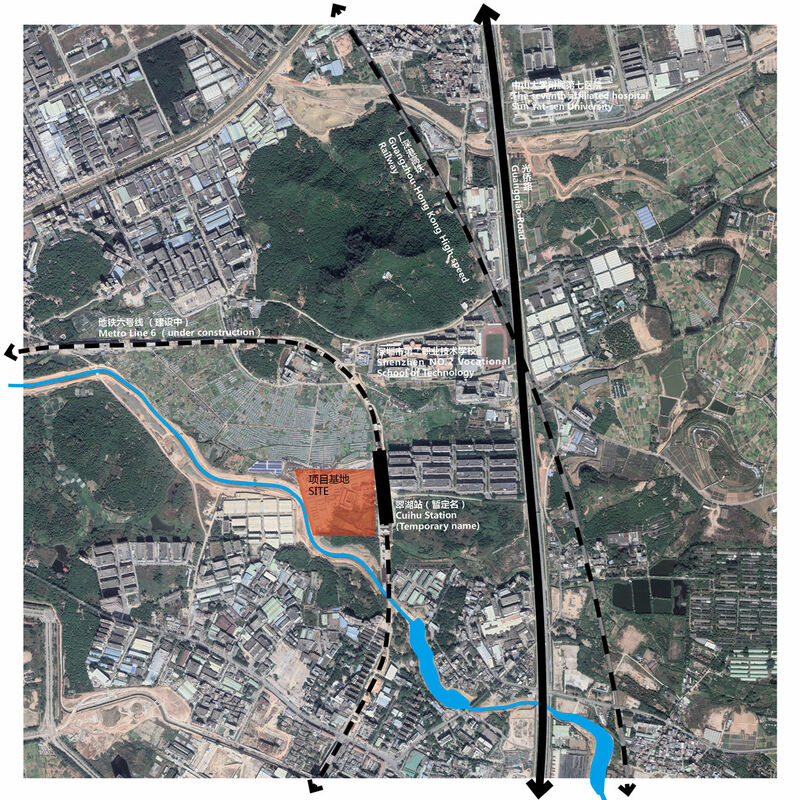 Located next to Guangqiao Road and Cuihu Station (temporary name) of metro line 6, the site covers an area of about 66000 sq.m. 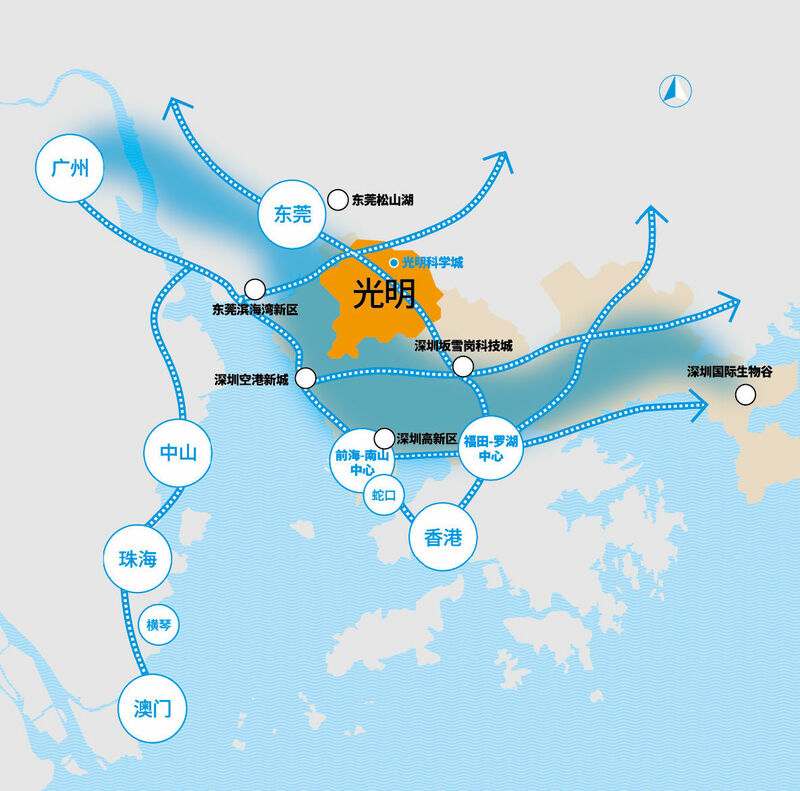 Shenzhen Guangming District is an important node of Guangdong-Hong Kong-Marco Greater Bay Area and Guangzhou-Shenzhen-Hong Kong-Macao Science and Technology Innovation Corridor. 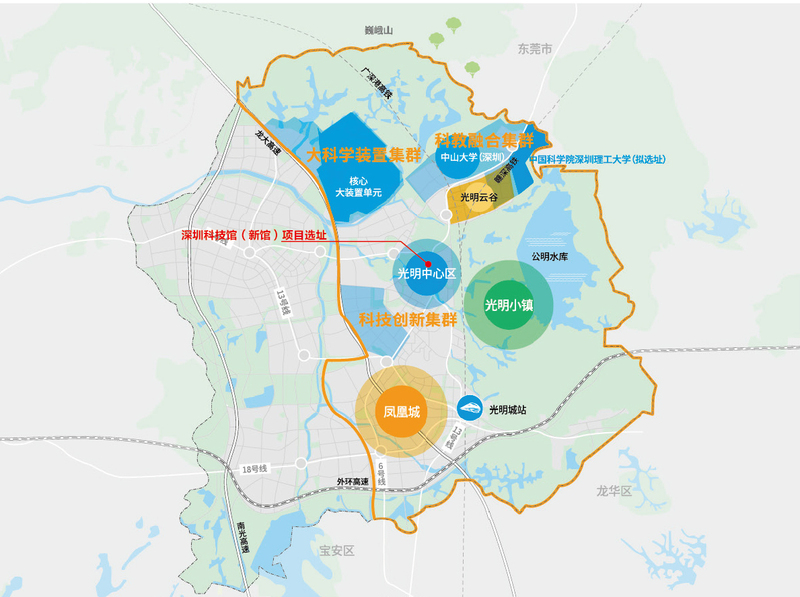 The 99-sq.km Guangming Science Town is planned based on the concept of "Science + City + Industry" and the spatial layout of "One Center and Two Zones in Greenness". It will fully take advantages of its geographical location and lay out a multi-type, multi-level major science and technology infrastructure cluster with mutual collaborations, so as to build a world-class science city with outstanding competitiveness and influence. 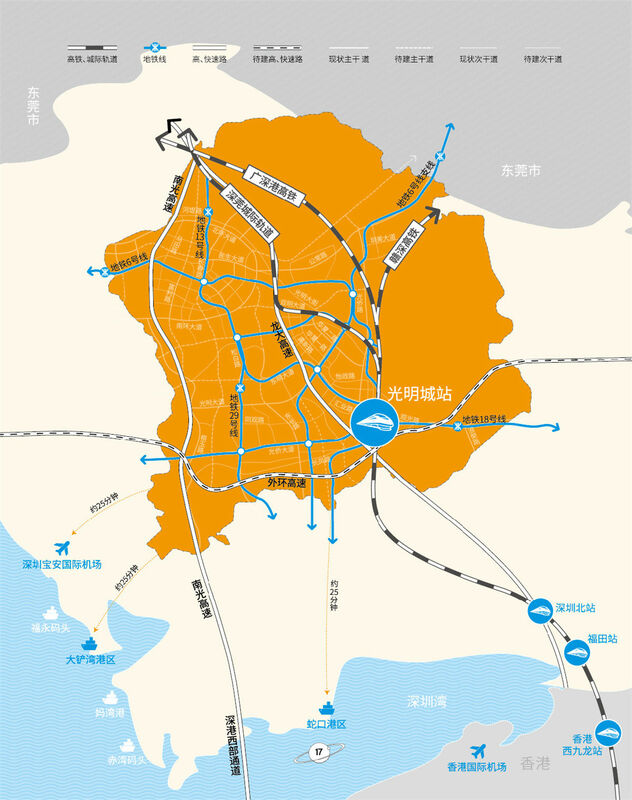 There are high-speed rail, subway and express way network in the district that connect with major cities in the pearl river delta. Hong Kong and Guangzhou can be reached in half an hour. The museum mainly has 7 functional areas, including science and technology exhibition area, science and technology theater area, educational activity area, science and technology communication center, public service area, business management area, outdoor science square area. The total floor area is 105,000 ㎡, for which 81,500㎡are above the ground while 23,500㎡are under the ground. (It can be adjusted as the design ideas). Related disciplines include but not limited to: planning, master layout, architecture, structural engineering, electrical, water supply and drainage, ventilation and air conditioning, interior design, building intelligent, fire protection, landscape, green building, elevators, steel structure, curtain wall, road system (including road opens), civil air defense, sponge city, flood lighting, identity system, kitchen, laboratory, cinema (IMAX, ball screen, 4D, 2D / 3D screens) design, sound and lighting design, lecture hall design, prefabricated building, etc. ☆ All the time mentioned is Beijing time. The Tenderee reserves the right to adjust the schedule. 1. This public tender is open to all. Domestic and overseas design companies or organizations with legal business registration may apply for participation. 2. Joint groups are permitted. Individual applications or teams of individuals will not be accepted. (2) Each member of the joint group shall not further apply alone or participate by joining another group with other design organizations. (3) The joint group member shall sign the Joint Group Agreement legally and specify the leading member, as well as work distribution in each design stage and their share of rights and interests. 4. 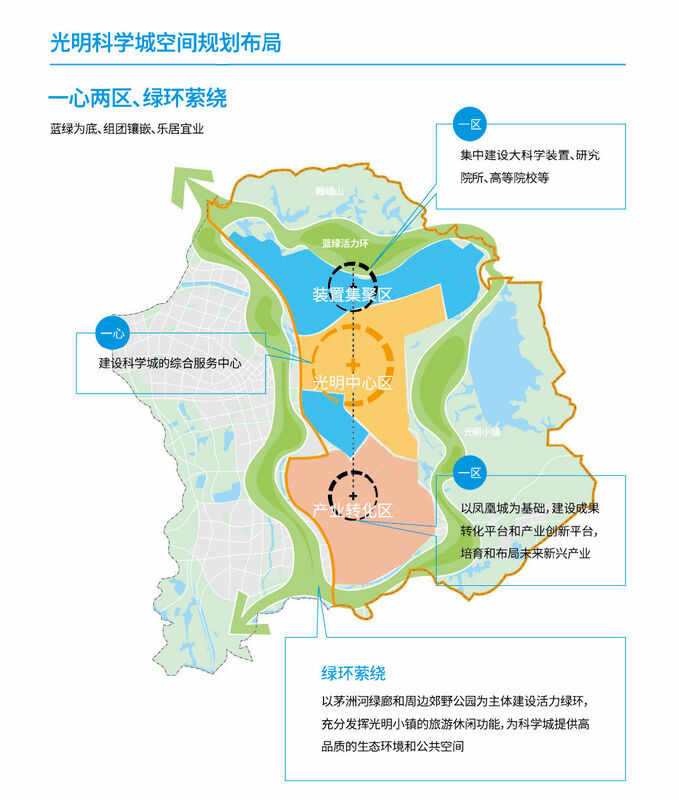 If the bidder wins, the subsequent work of schematic design and architectural design development should be ensured to meet the requirements of relevant Chinese national, provincial and municipal building codes, regulations and administrative examination. If the bidder does not have relevant domestic design qualifications, it is the bidder’s responsibility to entrust a domestic company with corresponding design qualifications to cooperate on this project. The tenderee shall establish a pre-qualification review committee according to law, to review the valid pre-qualification application documents submitted by the bidder. Pre-qualification review committee select 8 top ranked bidders through open vote, and submit the recommendation and evaluation opinions to tenderee, in order to help tenderee further determine 5 shortlisted bidders and 2 ranked alternative candidates. The Design Competition requires the project leader or chief designer of the bidder to introduce the proposal, explain design concept, and answer questions from the scheme review committee. The scheme review committee adopts vote by open ballot to determine the top three candidates for winner without ranking. A bid selection committee shall be established by the tenderee to determine the winner from the 3 candidates recommended by the scheme review committee. · Total design fee is tentatively priced at 26.49 million RMB, of which the unit price of basic design fee is up to 218 RMB/square meter, add to a total of 22.89 million RMB; and design bonus of 3.6 million RMB (including tax paid by the winning bidder and unsuccessful bidders). · The basic design includes: all discipline design including architecture, electromechanics, landscape, interior design and theatre design, architectural design development, architectural design development BIM, overall coordination, constructional detailed planning document and all-process quality guarantee - including on-site review with unlimited personals, construction document review for architecture, interior design, curtain wall, landscape and theatre design. · 10% of the basic design fee shall be paid upon performance evaluation. · The project sets up total bid compensation of 3.6 million RMB (including tax paid by the winning bidder and the unsuccessful bidders). · The two bidders who get into the Design Competition stage but not into Winner Deciding Stage shall be compensated at 600,000 RMB each. The specific bidding content and the tendering schedule will be subject to the official tendering announcement. Project homepage (kjg.archiposition.com) will update timely with officially released information. Interested design teams are encouraged to submit pre-registration by clicking the button below, carry out the relevant competition standard preparation work, and pay close attention to the follow-up information release. The pre-registration is only collected as the intention of bidding, and the bidders should submit all required documents on site to enroll in the pre-qualification. Shenzhen Position Spatial Culture Development Co., Ltd.